Genetic testing has been available in the United States for about 30 years. The science and technology to conduct genetic testing is rapidly evolving. Unfortunately, so are genetic testing fraud schemes that push unnecessary testing and force taxpayers to foot the bill. Results of genetic tests can provide a sense of relief from uncertainty and help people make informed decisions about managing their health care. For example, a positive result can help patients find prevention, monitoring, and treatment options. Test for certain hereditary diseases can also help people make decisions about having children. And screening of babies can identify genetic disorders early in life before they manifest, thus allowing treatment to begin immediately. As much as we may have curiosity about these tests, most are not reimbursable by Medicare. except for those specifically authorized by statute. An example of one authorized by statute is a prostate-specific antigen test to screen for prostate cancer. treatment in the presence of signs and symptoms of disease can be covered by Medicare. 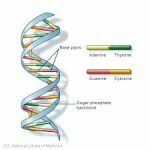 A common use of genetic tests in the Medicare population is to assist in determining cancer treatment. Genetic tests can be used to predict optimal chemotherapy regimens and avoid exposing patients to ineffective or overly toxic regimens. This is where things get tricky. If you have a symptom or if a doctor believes you have cancer, Medicare will pay for the testing if ordered by your physician. We have seen, however, technicians from genetic testing companies trolling community health fairs and senior centers with offers of “free health screenings.” Sometimes local churches are also duped into offering these events. The technician promises the tests are free and that Medicare will pay all costs. All you need to do is simply provide a cheek swab as well as your Medicare card. Some companies even offer to send the results to your physician. Genetic testing isn’t illegal but having Medicare pay for it is. Worse, many or all of the tests they perform aren’t medically necessary. And the really bad news? These companies now have your insurance or Medicare number and your personal genetic health information. Unfortunately, you have just become the victim of a genetic testing fraud scheme. One clinic in Florida was even offering ladies free manicures if they allowed a technician to swab their cheek and provided their Medicare number. The test must be medically necessary. Predictive screenings in the absence of specific symptoms are not covered. A physician must order the test. The test must be one approved by Medicare. Unfortunately, as genetic testing becomes more popular, so do the Medicare fraud schemes. Under the federal False Claims Act, whistleblowers with inside information about genetic testing fraud schemes may be eligible for cash rewards. We are actively searching for whistleblowers who work for genetic testing labs offering PGX (prescription genetics screening) and CGX (cancer genetics screening). The questionable schemes we have encountered involve testing being offered for free or very low prices at health fairs, churches, senior centers, assisted living facilities and even nursing homes. At times, physicians or nursing home administrators will be offered kickbacks although the testing companies often have a doctor on staff that signs orders declaring a medical necessity for the test. We are also interested in schemes in which the technicians paid as a contractor on a per test basis. That incentivizes the technician to swab as many people as possible whether or not they have any active symptoms and whether or not their physician has been consulted. or by phone 202-800-9791. All inquiries are confidential. Services provided nationwide. And we never get paid unless you get paid an award. Do Whistleblowers Really Get Paid Awards? Great question. The answer is a resounding “Yes!” In fact, our whistleblower clients have already received $100 MILLION in rewards. And right now, the government is interested in genetic testing fraud schemes meaning you might earn the next reward. The two whistleblowers were paid $348,316.50 which represents 17.5% of the total fine of $1.99 million paid by GenomeDX Biosciences. In March of 2018, Myriad Genetics, a publicly traded company, disclosed to investors that it had received a subpoena from the Inspector General of Health and Human Services. The Office of the Inspector General is the law enforcement arm of Medicare. Myriad reported revenues of $770 million in 2016, much of that from genetic testing. The Dallas Morning News did an investigative report on Texas Medicare fraud. They identified a potential genetic testing fraud in Carrollton, Texas. According to report, a genetic testing company advertised for “free DNA testing” at a Carrollton senior center. The test told seniors the testing was to insure people’s medications would not cause adverse reactions. Unfortunately, the test takers made no efforts to communicate with the seniors’ doctors nor did they even ascertain whether these folks were suffering from a cancer or other specified diseases. The woman actually received her test results but when she showed them to her doctor, he was surprised. One New Jersey genetic testing scheme alleged used a non-profit to hide its illegal genetic testing fraud scheme. That scheme resulted in criminal charges. The Justice Department charged Seth Rehfuss with criminal Medicare fraud. According to court records, Rehfuss used the non-profit Good Samaritans of America to cheat taxpayers out of $1 million. And how did Rehfuss profit from these unnecessary tests? He was paid a commission. When Rehfuss couldn’t find a doctor to sign the test forms he allegedly advertised on Craigslist looking for a doctor who wanted to make $2000 for 2 hours work! In some cases, the test results were not even sent to the seniors. As noted earlier, these scams frequently target senior centers. Because the technicians often get paid by the test, questionable DNA testing companies target places where seniors congregate. Once again, if you have inside information about a genetic testing fraud, you may be eligible for a cash reward. More importantly, you are taking an active role in the battle against fraud.